Brutal in their simplicity, elegant in their execution, roadsters answered to a lot of names including dinosaurs, and big cucumbers. Includes more than 200 color and black-and-white photographs. Parnelli Jones, A.J. Watson, A.J. 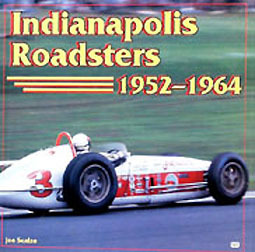 Foyt, Rodger Ward and more are among those featured along with the roadsters in this historical volume. Veteran sportswriter Joe Scalzo has captured the beauty and agony of racing roadsters.